The story of the Gisborne wine region encompasses both New Zealand’s tremendous capacity for producing high-quality wine in large volume as well as its culture of smaller, boutique wineries with enchanting cellar-door welcome. The region has varied terroir and there are 9 distinct sub-regions but overall the reputation of Gisborne is for very fertile soils that can produce a bumper supply of excellent wine. There is something unique about the way the fertile soils and relatively mild climate of the region are harnessed to produce fresh and lively wines without falling into the trap of pedestrian, warm-climate wines. And the reason for this has to do with very benign rainfall patterns and, most importantly, the maritime influence from the sea. There is a lot more than just wine to the Gisborne area and, as a destination, this is one of New Zealand’s many unimaginably perfect places. There is deep history that relates how both the Maori and European arrivals first made landfall along this coast. There is a sunny, dry and springlike climate year round. There are pastoral rolling hills, forests and mountains. And there are many of New Zealand’s best beaches. What is the catch? Well you will have to take a 7-hour drive from either of the major cities on the North Island (Aukland or Wellington) to get here ... but that is a bonus in and of itself given the countryside along the way. Of course you could take a short and inexpensive flight in to the small city of Gisborne but that would be cheating. As a wine growing region how would you prefer to stake your reputation? As a place that produces high quality and large volume wines worthy and capable of conquering the international market? Or as a region of boutique wineries and charming road-side cellar doors? Or how about both! Gisborne has players with international heft like Villa Maria and Brancott growing prized grapes here but it also has a stable of smaller, creative personalities building reputations based on site-specific wines. As a wine touring destination, Gisborne is most attractive for these more specialized establishments. 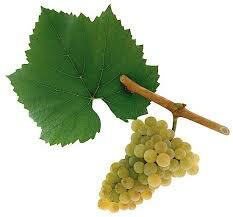 And it is the white wines that have been most successful in building the region’s reputation. Gisborne’s Chardonnay is very highly regarded and its Gewütztraminer is prized for the particular regional character it expresses. In fact the aromatic whites tend do show really well with Riesling and Chenin Blanc complementing the success of the Gewürtz. Winemakers are also establishing new frontiers with varieties such as Albariño and Arneis and red wine grapes such as Merlot and Malbec produce excellent wines here as well. The Gisborne wine route is, happily, concentrated in a small triangle of roads near Gisborne town. Gisborne is on New Zealand’s North Island, remote and separate from the more heavily populated centres, and it sits on the large point of land that projects northeasterly into the Pacific Ocean. This point is the most easterly in New Zealand and is the closest landfall to the distant Polynesian Islands where the Maori people are believed to have come from. No-one knows where the mythical island of Hawaiki (the legendary original home of the Maori) is located but what is known is that the Maori people arrived here in large waka (canoes) in the 13th and 14th centuries and made landfall in Gisborne. To this day Gisborne has one of the highest proportions of Maori populations in the country and is an important centre for Maori culture. Given the lovely weather year round in Gisborne you can come anytime. And in Gisborne you won’t be overwhelmed by crowds so planning a trip to come here in the high summer season from December to February when there are more tourist activities, concerts etc is a good idea. Fly in from Wellington or Aukland or, better yet, rent a car from one of those cities and make your way hear overland to experience the North Island’s scenery, culture and hospitality. The wine roads around Gisborne are super-accessible so you will have a great time spending 2 or 3 days exploring wine country. But save time for the beaches and the wilderness trails - this is a beautiful region with lots of wild country to explore. Maori culture is deeply connected with the seaside in Eastland - the region of NZ where Gisborne is located.